This is the second book by Stephen Gabriel that I have read in the last year. Both have been incredible. This book can be a quick read but to truly implement if's wisdom it will either be read slowly or read many times over. It is written in a very engaging manner and is easy to read and engage. 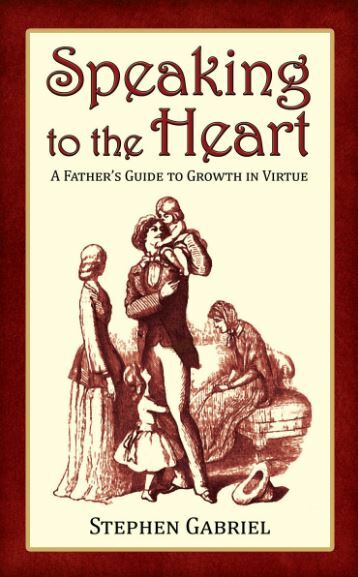 It is down to earth advice from a father and now a grandfather on how to grow in the virtues to be a better husband and father. This book can be read through from beginning to it. In can be randomly flipped open for inspiration or motivation. Or we can pick a specific virtue and work on it until we are ready to move on to the next. 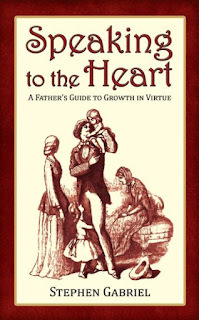 This second edition of this book was reworked 12 years after the first edition, during that time Stephen when from being a father to a grandfather. His advice is just as relevant to his new role and his provides a godly example of a man who is striving every day to be better than the day before. 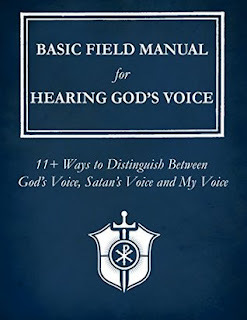 His advice to us in the preface to this new edition is: "Speaking to the Heart is meant to be reflected upon. Where's your struggle these days? Humility? Patience? Temperance? Chastity? Read the chapter on that virtue again and reflect and pray about what you've read. We all have to make an effort to acquire these virtues, And sometimes they don't come easily. But, what a worthy battle! The effort alone will make us better husbands, better fathers and indeed betters friends of Christ." And honestly that is one of the greatest things we can spend our time and effort on for through the growth in virtues we will become who God is really calling us to be. My only regret is that this book is not available in eBook format for I know a lot of fathers who would read it electronically. But that aside it is an amazing read and will be an excellent tool in the spiritual tool box of any father, any husband and man! This is one of the books my oldest daughter and I read together this year. For school she is suppose to read for 20 minutes a day. Because she is struggling a bit we tend to read 40 minutes but alternate pages. This book and the series that is now up to ten books is a new spin on old tales. In some ways reminiscent of the fractured fairy tales, or Tony Abbott's Cracked Classics. It is the story of two modern day kids who get transported through a magic mirror into the events of the legend or story of Sleeping Beauty. And find a way back home. All while the clock is ticking. That is a lot of pressure on the shoulders of a two siblings far far away from home and in a place they do not really understand. And all of that on a ticking clock. This was an interesting take on the story. The way the kids looked after and protected each other was a great example. The fact that they choose to stick around and fix their mistake instead of taking a quick way out is a great example of character and integrity. 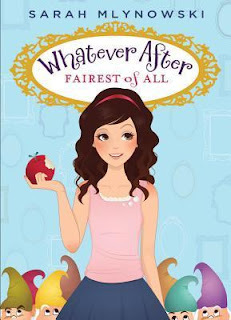 My daughter loved the premise and has since picked up a few more from this series for us to read together. She also loved some of the twists on the dwarfs. But to find that out you will need to read the book. So we have a lot of reading ahead of us. So overall a good read that I can recommend. I was privileged to read a review copy of this book months before it was released. From the first glimpse of the cover, through reading the description of the book I was very keen on reading it. It did not disappoint. This was the first book I have read by either Pauls or Solomon and I really hope there will be more. I must warn you this is a highly addictive read. If you find at times you have a hard time putting down books, this will be one of those reads. If you repeatedly say one more page or one more chapters you will definitely find yourself doing that with this read. This book is a wonderful story, it is the story of friendship, the story about doing what is right. It is also in part a story about family. And it is a great adventure. This is the story of Charlie Lawson, a young man who is currently at odds with the world. He is 13 years old, great at racing games, does not like is mom's boyfriend and is angry with his brother who left a year earlier to travel with the fair. But his life changes by a meeting with someone different than himself, very different. For Charlie meets a giant a real live GIANT who is hiding in an abandoned warehouse across from Charlies flat. 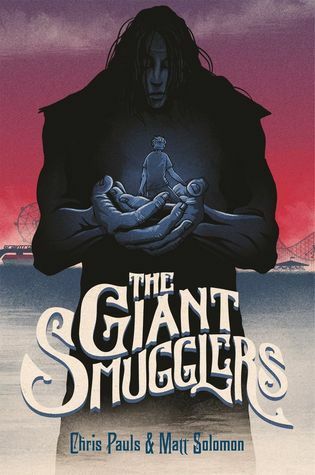 Soon Charlie is stuck with a lot of responsibility for his young shoulders, there is an evil organization trying to capture the Giants and use them as a source or new enhancement drugs, a group helping smuggle the giants across the country, and his loyalty to his new friend. Charlie and Bruce develop an immediate friendship. And soon Charlie is showing Bruce kung fu movies and sharing laughs. But those who would put Bruce in a lab are really close and getting closer every second. This story includes some great chases, a few surprises and some amazing places to hide a giant. Last year I read 177 books and this one was #6 on my top ten list for the fiction books for the year. I really hope it ends up being the first in a series because it was such a wonderful read. So pick it up and give it a read I am sure you will be entertained. I read this book immediately after finishing book one, Exodus, in this series. Finding a new series with three books out and nine planned is a wonderful place to be. I must admit, I absolutely loved book 1 and I did really enjoy book two, but at paints it seemed like it was trying too hard. A.J. (Alfred) Gillette in a new name in Canadian Science fiction, he has release the first three books in the Geoterra series and has a few other projects brewing. This is proving to be an awesome series and I eagerly expect the rest of the books. The book in some ways reads like a Spider Robinson book or like Stainless Steel Rat books by Harry Harrison. A little bit of science, a little humor and a lot of fun. Is this a deep read by no means, does it ask a few questions worth thinking more deeply about, defiantly. It is entertaining, highly. This book is slower paced than the first, but the crew of the 5 ships have some interesting adventures. We have a few crew members who face near certain death, we have accelerated pregnancies, the threat of imprisonment. The aid from some very advanced races. And encounter a race so small they are not visible to the humans. A lot happens in this short novel. And throughout the story are interspersed pop culture and sci-fi references from the 80's, 90's and 2000's. We see some interesting developments within the crew dynamics. The story is driven mainly by the characters and their goal of starting over again away from Earth, and away from Interstellar travel. They desire to start a new earth where the choice to not have interacted with other races had been made. But The journey is long and the obstacles many and with every encounter they are either making friends or enemies. And some of those enemies are very determined. This book was a fun read. And I am really looking forward to where book three will lead. If you have not read his books I give them a big thumbs up and say give it a go. I have read this book through three times now. Each time I get a little more of it. In some ways it reminded me of one of my favorite books over the last 15 years, Jacob the Baker by Noah Ben Shea, which is a book that I read at least yearly. It is also reminiscent of Peaceful Warrior by Dan Millman or The Monk Who Sold His Ferrari by Robin Sharma. But with your underlying catholic beliefs it comes across more at Henri Nouwen or Thomas Merton. I have already recommended this book to a number of friends all of whom have found it useful and have deeply engaged with the material. I am looking forward to meeting with them and discussing this book face to face. It would make a great read for a discussion group of book club. I have sat thinking about how to write a review of this book for a number of weeks. I know I enjoyed it, I know it has had an impact on both my heart and my mind, but I struggle to put it into words. In many ways the book speaks to learning again that the heart is the seat of the soul and not the head. In our intellectual and academic society that knowledge often gets forgotten and we start living more and more from our head. As we journey with Douglas we learn to see and listen to our hearts again, and through balancing the heart with the mind find our path and purpose. Douglas puts into words what some of us suspect, or get glimpses of. As such I will simply provide a number of quotes from the text itself to give you a small feel, and hopefully it will be enough to entice you to give it a read and see what sort of impact it has on you and your heart. "It took me to places I never expected. For example, I never would have believed my heart was the Promised Land nor would I have thought that walking through the valley of the shadow of death was the only way out of my self-imposed exile. Exploring aspects of the heart was frightening. Speaking about what was previously unknowable and unexplainable was challenging." "The heart is the deepest interior part of our lives. The heart is the place where we are alone with ourselves and life itself as we know it." "It was in this journey that I found the answers to my two major questions. Who am I and what is true happiness?" "A liturgy is a fixed set of ceremonies that are used during public worship. A ceremony is a formal series of actions prescribed by ritual, protocol or convention. So a liturgy is a dance of worship with a specific sequence of steps and movements." "The revelation unveils how each choice we make in our lives either moves us closer to or away from the possibility of the heart." "You can heed the call of the heart or not. It is your choice. You are a free human being in the world. You can choose what you will when you will. The call of the heart is a call away from the world back to reality." "Einstein said, "Reality is merely an illusion, albeit a very persistent one". In other words, the main event is not the main event. There is something else going on." "Your stories explain the continual unfolding of life's duality - body and soul, mind and heart, word and deed, love and hate, work and play, sacred and profane, solitude and unity, success and failure." "Your stories are your automatic way of relating and reacting. They are the intention behind all your actions and adventures." "A journey into the heart is a choice. It is an adventure." "Life is for the strong and the brave, the cunning, the survivor, the champion - you are all those things. But you can be more. So much more if you could stop doing and just be." "My blind spots are unconscious and self-serving. In my opinion, they interfere with my inner work of my heart and cause me unnecessary suffering." "I don't feel broken because I am so used to being broken that I forgot what it is like to be unbroken." "Pay attention to how you are being when you are doing what you do." "You are these people when you judge others as hypocrites. Do not judge. Accept. You are these people when you condemn self-righteousness. Do not condemn. Forgive. You are these people when you deny the illness in your heart. Do not deny. Confess! You are these people when you justify your conflicted intentions. Do not justify. Apologize! You are these people when you rationalize your diseased actions. Do not rationalize. Rectify! You are these people when you blame others for your unpleasant results. Do not blame. Change!" Douglas's prose may not be perfect, but he puts forth perfect effort. He tries to capture his own experience and relate it in a way that we his readers can learn from it. He is a man how has been through a tremendous amount of upheaval, uncertainty and loss. And through those events he has learned some great lesson's maybe some of the most important lessons in life. And he shares them with us, in their rawness, and with humility and transparency. This book is a wonderful read with some amazing illustrations by his daughter. Check it out and let me know what you think. When you buy the course you get lifetime access to the resources. Last year when enrolment was open over 1000 people completed the course and only 2 did not improve their reading volume, some by as much as 10x's as many books. Professor Peter Kreeft stated of this program, "I've taught college philosophy for over 40 years. This excellent course, if taken to heart, will do more for your education than 99% of the courses in school that you ever took." And that is very high praise. I have worked my way through the materials from the course once already and plan on going through the video's at least a second time. Even as a reader who is well above the national average there were a number of tips and tricks in this series that I found made it more than worth it. This course presents very down to earth knowledge that is accessible even by the most reluctant of readers. I have over the years had many friends ask how they could read more; this course is the answer. It puts into words some of what I do naturally and gives me a bunch of new ideas to implement. As such I can highly recommend this course. Even if you only pick up 1 tip from each of the 10 videos you will drastically increase your reading speed and comprehension. In fact, Brandon is so confident that the course will work for you he offers a money back guarantee. He will no invoice you until after 30 days. If you do not find the course useful just let him know and he will refund your money. And if you are still in doubt you can get access to 4 free quick lessons that are a sample of what Brandon teaches here. or if you are reading to take the plunge go and buy the course Read More Books Now! So give it a try but time is limited course enrolment is currently only available until May 27th so get registered now. A.J. Gillette is a technology guru, he is also a musician and writer. 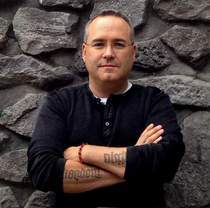 His first book Geoterra was published in 2005 and took him over 8 years to write. He has now published 3 books in the last year and seems to have found his stride using NaNoWriMo as a focusing force behind his writing. Currently he has 4 books available and a few in the works. A.J. or Alfred took some time to answer 20 Questions for the readers at Book Reviews and More, so here he is in his own words. 1. When did you know you wanted to be a writer? How did you nurture that dream? I started reading Science Fiction in High School and continued to enjoy it through college and university. I ramped up my reading when I graduated and once our kids were grown, I realized that although I loved reading about new worlds, I wanted to build one of my own. 2. Who were some of your biggest supporters and contributors to your early success? My wife Julianne, edited my first novel and has supported me in all of my crazy adventurers. Friends and family read my books and tell me that they are really good. I have discovered over the years of writing and playing music, that friends and family don't make the best critics. If you are not good at something, they won't tell you. 3. Knowing your computer science and programming background I was surprised that your book with not Hard Science Fiction. Was that a deliberate choice? I like to read about stories and worlds. I felt that I had to create personalities that people could relate to. I read about theoretical physics, gerontology, advancements in medicine (Stem cell research, biological 3D printing) and try to work aspects of these things into the stories. I observe interpersonal relationships around me and work that into my books. 4. What authors influenced your writing style and format? Anne McCaffery, Elisabeth Moon, Paolo Bacigalupi, Robert Saywer, Eric Flint, David Weber, Dan Wells, Diana Gabaldon, Morgan Rice, Eliza Green, Suzanne Collins, Hugh Howey, John Scalzi. 5. Do you use a playlist when writing? Are certain books written while predominantly listing to the same music? You would think that I would but not really. I perform weekly at open mics in the Ottawa area, where I play covers that range from Seals & Crofts to Ed Sheeran. When I listen to music, it's usually songs from my set lists so that I burn them into my brain. When I write I generally don't listen to music. 6. What does your writing process look like? Takes us through the steps from idea to publishing? A good question. I woke up one day over the Christmas break with a complete book in my head. I generally create notes for topics that I will write about in each chapter of a new book, but don't start writing until November 1. NaNoWriMo is a great way to create a book in a short period of time. My first book was written over an eight year period. Each time I sat down to write, I had to read the entire book to figure out where I was at. With NaNoWriMo you can keep the whole book in your head from start to finish. The outline is basically done to you sit down and write, don't correct typos, don't edit, just write. 7. Your Geoterra series started as a trilogy, but is not planned to be 9 books. What spurred the change? I generally only read series that have more than three books. I wanted to create a story that would appeal to people like me. The plan was a double trilogy and I started with book four because it placed me far enough in the future to have a free hand with future science. I went on to write three quarters of book five, but I couldn't use it for NaNoWriMo, because it was already started. Exodus was my first book written as part of NaNoWriMo. Journey and Arrival followed on as NaNoWriMo projects as well. When I got to the end of Arrival I realized that there was too much of a gap between it and book 4 (Geoterra) so I decided to add three more books in between. The series will now be a triple trilogy. 8. For your Geoterra series do you have plans or outlines for the remaining 5 books? Are they in progress? If so at what stage? Yes and Yes kinda… Exodus, Journey and Arrival are all complete. The next three have tentative titles, and I have started making notes with respect to the extension of the story that will tie into what is now book 7. 9. Do you have any books in development outside of the Geoterra series? Yes, there is one called Evolution that is loosely based on the science behind the book "Genome". In that book it talks about how some species go extinct, because only females are born. The book explains that the chemical makeup of the Genome favors the female Genome and when an extinction event happens, it happens almost overnight. The book explores what would happen to society when this occurs in the human race. There is another book coming that explains the origin of the Yeti. I'm really excited about this one, but don't want to give too much away. 10. Being a programmer and teacher do you see yourself ever writing non-fiction to pass on some of the knowledge you have accumulated over years in the technology industry? It's not out of the question, but there are way smarter people in that space. I'm more of a generalist which means I am pretty good at a large number of things. I can't really say I'm an expert in many areas though. I think that experts should write non-fiction. 11. What were some of your favorite authors in your teen years who helped shape you? Wow that was a long time ago. I don't think there was any one author. We lived a long way from the closest library and my family did have money to buy books. 12. Who are some of your favorite authors or books now? Right at the moment, I'm waiting for the next Outlander book, the next book in the "Name of the Wind" series by Patrick Rothfuss and the next book in the Partials series by Dan Wells. 13. Completely off topic but what TV shows or movies do you enjoy? TV shows seem to come in and out of favor. Currently I watch Grey's Anatomy, The Arrow, The Flash, Elementary, Castle, Saving Hope, Rookie Blue, Vampire Diaries, NCIS, and Outlander. 14. If you could only recommend 10 books to a reader looking to be a well-rounded and whole person what books would you suggest? The dragon rider series by Anne McCaffery explorers many different aspects of a society rebuilding itself. The inter-personal relationships are fascinating. The Partials series by Dan Wells is a little closer to earth and does similar things. On the non-fiction front, the book Genome, Long for this world, The youth pill. On the business front, The Alliance, Zero to One and the startup owner's manual. 15. I once heard Madeleine L'Engle state that her characters were real to her and almost an extended part of her family, she said once that at the dinner table she sat up and stated "Meg just finished her PhD." Are your characters real to you, do you ever get glimpses of what they are up to now, or once you finish a book is that it? My characters have personalities of their own and they tell me what to write. They each speak in a certain way and choose words accordingly. If you were to ask me what Beth would say in a given situation, I would be able to answer. Mary would respond differently as would Jacob and Martin. 16. Most of your books are available in electronic formats but with that comes bootleg distribution. What are your impressions of ebooks and the distribution of them through torrents and other illegal means? All of my books are DRM free. I hope that people copy them so that I get more readers. I think that authors and musicians need to establish a community before they should consider locking people in. 17. Some authors monitor torrent sites contact them to remove their content. Do you have plans to do so are have someone do so for you? Nope, I hope that my books are freely distributed to the world. If people like them, hopefully they will tell me and compensate me for my efforts. 18. I once had a university professor state that the true goal of a university education should be to teach one to learn how to think. What would you state should be the goal of higher education and why? Interesting question. I started with a college education (Electrical Engineering Technology) and then went on to do a University Education (Computer Science). The motivator was basically the difference in compensation. Having done both, I would say that University was easier and didn't really add much to the college education that I already had. I think education is the best investment that a person can make in their life. You invest time and money and it pays your salary for the rest of your life. I have always been lucky in that I know in advance what I am going to enjoy. I picked electronics and computers because I could see the role that they were going to play in my life time and I wanted to be part of that. Students should think had about what they enjoy, save the top choice as a hobby and select the second one as a career. Book 1: Some kind of survival guide. I don't know much about living on a desert island. Should contain a complete guide to edible plants and how to prepare them. Book2: A book on how to fish, types of fish and how to clean and cook them. Book3: A book on how to get rescued, if you're stranded on a desert island. Book4: The complete dragon rider series by Anne McCaffery because the story is inspiring and contains nine books under one cover. Book5: The taekwondo encyclopedia by General Choi. It would provide reading to help cope with stress and exercises that would help me stay fit. Book6: A book on navigating by the stars so that I could figure out where I was. Book7: Right now I'm reading "The startup owner's manual" that would be one because it's more of a reference and you need to read it 10 or 20 times to really get it to sink in. Not that the knowledge would do me any good on the island. Book8: The Bible: I've had it read to me all my life (in Church) but I've never actually sat down and read it from cover to cover. Book9: The Quran: I would need it translated to English, but I would like to understand more about other religions. Book10: The Torah: Again I would need a translation. Life is too short to do things that you are not passionate about. If you want to write, then start writing. You'll know soon enough if it's for you. Participate in NaNoWriMo. It will force you to complete your first book and you will have the support of the rest of the world. You will be able to find local authors at libraries, coffee shops and various other public venues. NaNoWriMo has write-ins that happen all over during the month of November. I had the privilege of meeting A.J. a number of years ago through work. I was greatly impressed with his passion for technology, his breadth of knowledge and his intense and yet jovial personality. When I found out he had written a book I had to read it. (Even buying it from a platform I do not enjoy that much.) I devoured the first book and can say it has been a long time since I found a new fiction author I have enjoyed so much. It is not surprising that Robert J. Sawyer is an author who shaped his writings, for one of my first thoughts while reading his work was that it was like a cross between Sawyer and Heinlein. His writing is very enjoyable to read and I look forward to reading more of his works. You can read about part of the reason why he started releasing his books here. And if you have not read his book go give them a try they are excellent. 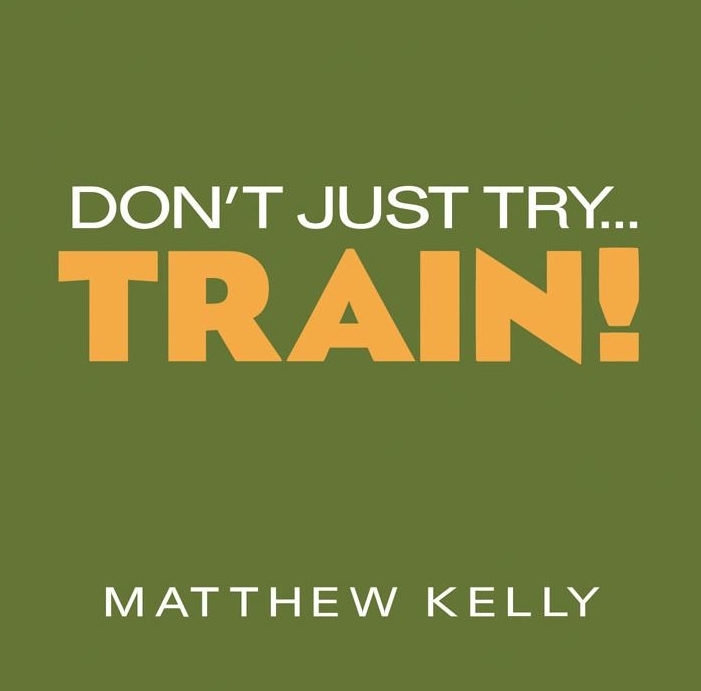 After listing to Matthew Kelly's Becoming The Best Version Of Yourself, from Lighthouse I have become more addicted to both Matthew Kelly's audio and written teachings and also some of the amazing resources available from Lighthouse Catholic Media. This was an audio talk given shortly before Christmas, Matthew reflects on the importance of spiritual disciplines, with a focus on being the right person. He talks about the culture we go out to and are surrounded by every day. But Matthew calls us to draw nearer to the Lord, to find the true meaning of Christmas. He reminds us that we want to become better people, but or spiritual life is often 3 steps forward 2 steps back, or we fall and do not want to get up. Matthew states: "People do not fail because they want to fail, they fail because they do not know how to succeed. We don't not make this journey because we don't want to make this journey because don't know enough about the journey." 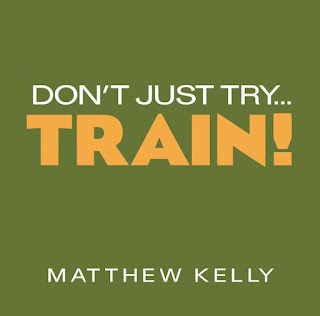 And to be honest based on all I have listened to and read from Matthew Kelly that teaches is geared towards helping us succeed and to become the best version of ourselves! "Transformation is not just about trying; it is about training." He highlights that we train for everything else in life, sports, jobs, hobbies but we just show up for church on Sunday. He highlights that as human beings we have a natural capacity to increase our abilities, physically, emotionally, intellectually and spiritually. But in order to do so we will need to put in some work. And ultimately our spiritual growth begins and ends in prayer! And through becoming people of prayer we will discover our sense of mission, our purpose. And if we pursue it life will not just pass us by. We need to step back from life, enter the silence of prayer, and cultivate our soul and through that we will discover our greater purpose in life. We will learn that who we become is much more important that what we do. Who we are out our core is more important than our job. That relationships are the most important thing in our life. We need to draw near to the lord, we need to imitate Christ. For that is the path to true happiness, to true holiness. I have listened to this about 6 times over the last 2 months. The Christian life is not just about trying it really is about training! And this is a great tool to remind us of this core importance. This book was a very interesting read especially in this day and age. For weather we like it or not the work is at war, a war with terrorists, a culture war, even currently a war about bathroom use. 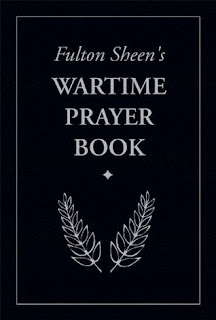 Originally composed in 1943 as The Armour of God this book is a collection of prayers, thoughts, reflections and quotes from the bible, saints and church history. In a time of ISIS and a time of gang attacks and terror attacks in Europe we need to be a people of prayer more than ever before. We can learn so much from this book written almost 75 years ago, and learn it from a man who devoted his life to prayer and teaching and was a Catholic pioneer in new media. 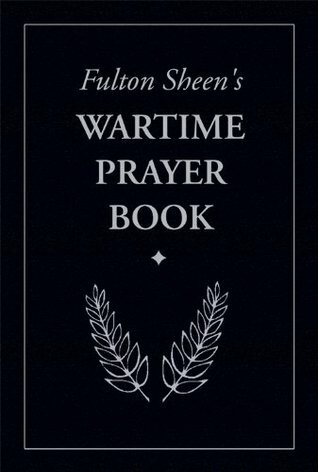 I have been slowly dipping my feet in the waters of Fulton Sheen's works, I know many who love listening to his old radio broadcast or watching his TV appearances but I am still a person of the written word. This is the third book by Sheen that I have read this year and I have a few more planned. But from the get go this one was very moving, and I have returned to it a few times to pray specific prayers or with specific intentions since I have finished reading it. When I purchased this book I was expecting a collection of prayers, and this book is that but it is also so much more than that. I highlighted a number of passages in this book on my first read through. And here are those passages as examples of some of the wisdom and guidance found in this volume. "There are only two philosophies of life: the Christian, which says: first the fast, then the feast; and the pagan, which says: first the feast, then the headache. In either case, there is pain. The Christian never ends with it, even if he waits until the end of time." "I am not fighting for a freedom that means the right to do whatever I please but for a freedom that means the right to do whatever I ought. Oughtness implies Law; Law implies Intelligence; and Intelligence implies God." "I am not fighting to preserve the kind of world we had just before this war. If I were, I would be fighting to preserve a world that produced tyrants and dictators. The new world must be a better world than that, or it is not worth fighting for." "We do not pray in order that we may change God's Will; we pray rather to change our own." "We do not pray that we may have good things; we pray rather that we may be good." "Unless we have some work in hand, unless we are struggling, unless we are fighting with ourselves, we are not followers of those who "through many tribulations entered into the kingdom of God." A fight is the very token of a Christian. He is a soldier of Christ; high or low, he is this and nothing else. If we have triumphed over all mortal sin, then we must attack our venial sins; there is no help for it; there is nothing else to do if we would be soldiers of Jesus Christ." "My station in life, my routine duties, my work, my family - all these are but the species of my life, which may remain unchanged; but the substance of my life, my soul, my mind, my will, my heart `transubstantiate,' stantiate,' transform them wholly into Thy service, so that through me all may know how sweet is the love of Christ. Amen." If from these few quotes you are not intrigued enough to pick up this book I will be surprised. So I will add, this book is transformative, it will help to transform your heart, it will help to transform your will. And if you let it, it will help to transform your life and through that help you to be an agent of transformation in the world. One of the key ways it will do that is that it will inspire you to become a person of prayer, a prayer warrior for it is true as Christians, as Catholics we are all called to be in the army of God. 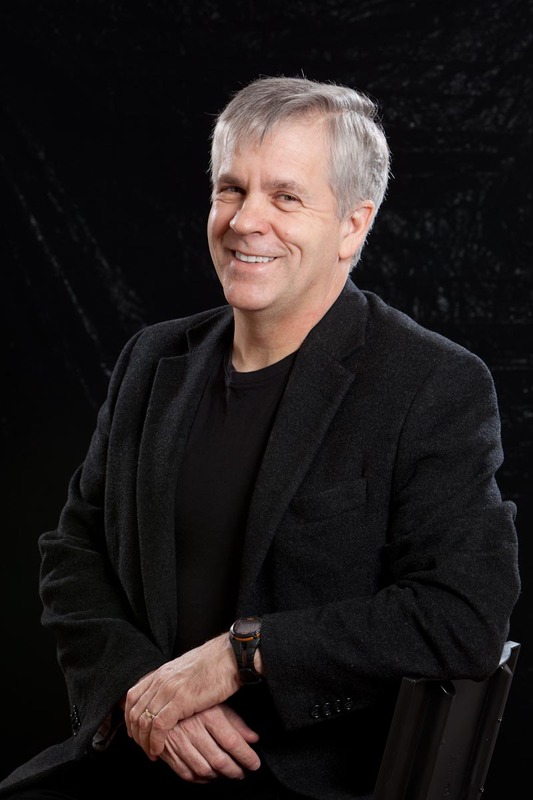 There is a new name on the horizon in Canadian Science Fiction and that name is A.J. (Alfred) Gillette. The first three books are now available in this amazing new series. These books mainly written during National Novel Writing Month Competition (NaNoWriMo) in various years are now seeing the light of day, and if the first book is anything to judge by this will be a truly wonderful series to read. The writing is like a cross between Harry Harrison, Spider Robinson and Robert J. Sawyer. Fred has a computer science background but his writings so far is not a tech focused as Asimov and is more story telling driven. The story begins just outside of Ottawa when Alfred Joseph Freeman, Joe wins a very very big lottery. He decides he will focus his time and effort on creating a new communications system. Being above average intelligence, and better than most at what he focused his time on, he soon consumed all he could about wormholes and quantum entanglements. His discovery would change earth and life for all humans in ways they could never imagine. After first contact is established humans are given an option to either join space faring or stay separated. A new one earth government decides to join and things start changing very fast. Joe soon realized that maybe earth made a mistake and finding out others with similar sentiment soon puts together a plan. Working with a team they plan and prepare to execute the greatest mission humans have ever undertaken. This is a pretty face paced story. At first some of the different story arcs seam pretty separate much like a Tom Clancy novel, but when they start to come together you wonder how you failed to see it coming. There are some great characters, some face paced action. To be honest the story was so good that when I finished I did not wait to write a review as I usually force myself to do, but immediately started on book two. These books have great writing and I really look forward to seeing where the series will go. The only drawback is we only have 3 of the nine planned books available so it will soon be a waiting game. Check them out and for the price you cannot go wrong. I read an early draft of this book, and have just finished reading the final version. I loved the draft copy and this is in many ways even better. 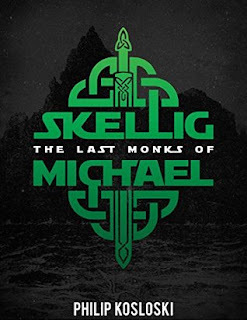 This is also the 12th book by Michal I have read in under a year, well actually the 9th book but I have read a few of them twice because they were so good. Many of Michal's other books are a synthesis of compilation of thoughts on different topics for self-improvement, but this one is almost completely original thought, and as much as I like his other books this alone makes this book that much more powerful. Michal always writes from his own experience, and in this book again he shares tips from what he has learned. In the beginning Michael states: "I was a little frustrated about my life. Everything was OK- my health, my spiritual life, my finances, my career and family- but none of it was great. I had no vision for my life; I was just getting by each day. However, I was in the right mindset to try new things." The form and shape of those new things was to be writing he says: "At the beginning of April 2013 I started writing my first book. In the next two and a half years I published twelve books and sold over 17,000 copies. I attribute my successes, in the most part, to my networking skills. Many successful businessmen say that the core of a business is connections and interactions with people, rather than any business- specific skills or market acumen. I tend to agree with them." And Michal has grown his network and now mentors, motivates and coaches, not only through his writings but also through other avenues. He is very upfront that there is not 6 quick steps, or 5 easy secrets he declares: "You probably wonder if I have a secret. Good news for you: there is no secret. There rarely is a "secret sauce" in any business realm. It's quite easy to learn the "hows" of any business; it's the personal implementation that gets tricky. But if you ask me the core of my networking success, I would say simply authenticity and tenacity. I didn't have to do anything fancy to connect with other people. It was enough to just be me. I consistently followed some people over long periods of time and provided value to them. Those two traits are behind my successes, and anyone can apply them." It will take work but Michal shares his successes and some of his failures, and by learning from him we can seek our own success. But he emphasises that knowing that alone is not enough, "Accepting truth and acknowledging possibilities is just a tiny step forward. Then comes the toughest obstacle: "can I do it?"" And we must come to the conclusion that we can, or we will continue to remain frustrated and unfulfilled. One of the biggest points that Michal reinforces again and again through this book is authenticity! "You see, everybody has this deep desire to live an authentic life, but very few do. There are a multitude of reasons for that, but they all come down to different ways of avoiding pain. The human brain's default option is avoiding pain (remember the tiger? ), so the majority goes along this path (and regrets it on their deathbed)." Along with that we need integrity "How does integrity make anyone effective? Simply put: people trust individuals with integrity. Trust eliminates the friction from the cooperation process." With that trust almost anything is possible. Jumping to a new topic he then talks about self branding. He quotes "Jeff Goins in his book "You Are a Writer" said that in the end you are your brand. Either you stand behind what you say and your deeds are compatible with your words, or your brand is a shambles, unlikely to produce any meaningful results." And by your brank you will be known, you do not have a questionnaire about a brand you interact with it, and the same with people "You don't send someone a survey about their values. You interact with them to determine if they are the right candidate for a long-term friendship.." And we all have something to bring to the table, Michal states "How does one provide value? What if you have nothing to say? In my view, you are never without the potential to add to the conversation. If you don't have new facts or knowledge to bring, you can always bring gratitude, appreciation, encouragement, and a positive attitude. This world is a desert when it comes to such qualities. We can never have too much of these things." A common theme that runs through most of Michal's writings is that or habit, either big H habit or tiny habits. It is habits that have helped him progress to where he is today and habits that will help him achieve his stretch goals of today. He uses habit tracking to make it all happen, from physical changes, establishing connection. He says: "For my commenting habit, I use the Coach.me app for all of the above. My trigger is going through my habit list in the application. When I see I haven't commented yet, it ignites me to find and read an appropriate blog post. After commenting I mark the habit off on the Coach.me list and the sense of accomplishment connected with this activity is my reward. 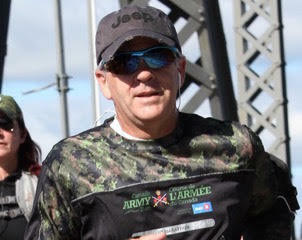 Coach.me also serves as a tracking tool." And based on his advice in earlier books I can personally attest to the effectiveness or habits and specifically tracing them. He reminds us a few times about the power of encouragement, he states: "Encouragement is much rarer and more precious than money." And that combined with work ethic is worth a lot, "Whenever you present yourself as a doer, you shine among the throng of talkers.". To be honest considering the length of this book there is an amazing amount of good advice. Michal states that "Vulnerability and authenticity are the bridges to friendship. It's hard to build a relationship without some level of openness. Be yourself." But he also reminds us to use caution in both who and what we put our energy and time into he says "Armed with that knowledge, be mindful about those you allow into your social circle. Consciously seek relationships with people you want to emulate. Consider who you want to become, and what character qualities you want to possess. Then associate with people who already have these." But then it all comes back again to hard work, it is going to take work, time and effort to make this happen: "Get rid of your instant gratification mindset. It's an illusion. Nothing is instant in this world (except maybe instant coffee; but is that stuff really coffee?). The most valuable things are built with time: muscles, relationships, children, enterprises." So now it comes down to you. Are you willing to spend the time reading the book? Are you willing to listen to his lessons and work at applying them in your life? Are you willing to work to eliminate bad habits and gain new habits that will help you achieve your dreams? Because those are the challenges that this book will present to you. This was another great read by Michal, maybe his best. If you are already a fan you will love it. If you have not read any of his books give it a try it will likely not be the last of his you read. Michal writes in a very simple and engaging style, he writes from experience and that will draw you in and keep you reading and maybe spark some new dreams in your life! Over the past few months there have been some big changes and to some extent it comes down to prayer, reading and listening. I use a mix of Kindle, Kobo, iBooks and Google Play Books for most of my reading. Last year I read 177 books and only about a dozen of them where physical books. At the beginning of this year I went through my reading apps and made a list of all the books I had started but not finished yet. There was a large collection of Catholic books that I had started or had but had not been read yet. I went through and made a list of 39 books I wanted to read this year to be intentional about working through this list. Basically it became A Year of Reading Intention - Catholic Reading! I said I would be willing to help with no hesitation. And lo and behold a week later I received a call that they needed me, so I went and server two evening massed and a funeral that Thursday. I have also since served at another funeral. I had been praying about a way to become more active at our parish, and this is dropped in my path. I asked God to open doors and he opened one I would never have expected. 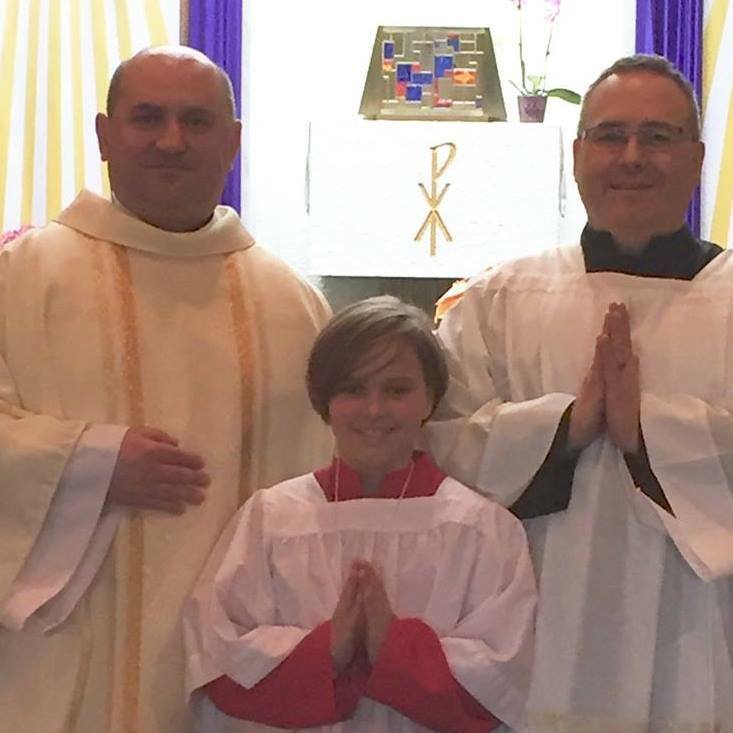 My daughter and I have been trying to go and serve mass together during a week day at least once a week. I think it is amazing that she wants to serve, and that she wants to serve with me. Over the last few months my daughter has alter severed at about 20 masses and I have served at about a half dozen. It is helping us build a bond with each other, it is helping build her faith. We go early and pray before mass, we take a moment and pray after mass. We talk about our successes and our failures and ask God to strengthen us to do better the next day. And to be honest a big part of this came about because of reading good catholic books. I had just been reading on a topic and get asked to help in that area the next day. The Holy Spirit was defiantly guiding and leading, and thankfully I was open to hearing and paying attention. It is a new found joy to be able to assist at mass this way again. On Divine Mercy Sunday the new alter servers were enrolled and I was reenrolled. We had 19 altar servers assisting at mass. It was truly a blessing. Are you intentional about reading to develop your faith? Do you have a reading plan? Are you willing to shut off the TV earlier and spend an hour a day reading for your spiritual development? You never know how the Holy Spirit might guide you. I do not even recall how I came across this book, it might have been recommended based on other books I had read or bought. But to be honest you cannot beat the price. The ebook is available for a very reasonable rate. In many ways it reminds me of a bible track or 4 Spiritual Laws booklets that were used for evangelization by non-denomination groups when I was at university. It is a very short volume. But in reality has a pretty solid message. The main focus of the book is to be a guide to help us in growth of discernment during our times of prayer and meditation. The main focus is that we hear four voices when we pray, two are internal and two are external. The internal one's or distractions and or our own wish fulfilment, the external are either Satan trying to lead us astray or the authentic voice of God speaking to us and guiding us. In the introduction the author states: "As always, I suggest taking everything to a trusted spiritual director, who acts as God's instrument and can help you sift out what is true and what is false. I hope this short eBook gives you the clarity you are searching for." And even for someone who has prayed for years there are some good tips in this book worth pursuing. Through the rest of the book Philip gives clear concise teaching, drawing heavily upon saints and church tradition to help us learn how to discern between the four voices. He draws extensively from Saint Ignatius and he has an amazing quote from Father Jacques Philippe. One of the greatest strengths of the book is the two page appendix, it gives some amazing jumping off points to go deeper on the lessons taught in this book. Of the 22 books recommended I have read a few but after encountering quotes in this book have added a few more of them to my to be read pile. This book was a good enough read at such a great price point that as soon as I finished it I bought another of his and immediately read it also!